Usually this is the time of year when I say that summer is over – but given the recent heat wave I think that London has a bit of summer left. As always, if nothing on my list tickles your fancy, some of my fellow BrokeinLondoners have some more ideas for you in the Free Entertainment in London section. Whether you love the river and spend all your time wandering along it in the summer, or you see it as nothing more than the border between North and South, Totally Thames will have something to tickle your fancy. 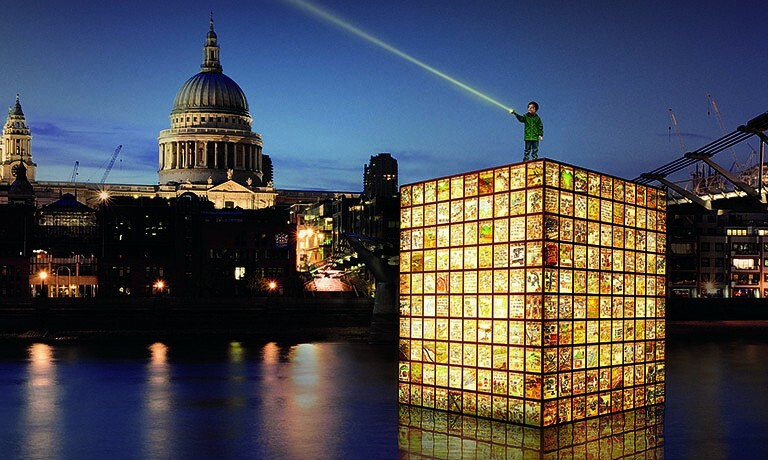 Highlights include Floating Dreams, a large floating multimedia installation by South Korean artist Ik-Joong Kang and Light Up The Ladies Bridge, a series of live performances and projections on Waterloo Bridge which was rebuilt by female construction workers during World War II – how cool! TIP: With the Totally Thames festival just around the corner, it’s time to check out Broke In London’s top 10 budget riverside restaurants. Every September there’s one weekend when Londoners (and visitors) can get a look inside some of the capital’s most iconic (and obscure) buildings. 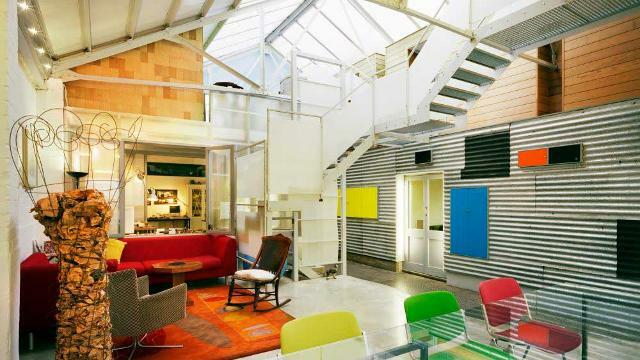 If you’re an architecture a geek or maybe just really nosy, don’t miss Open House London. It’s all free but some of the more popular buildings require you to book in advance. Pro tip: download the app and check out the map so you don’t miss a hidden gem in your own neighbourhood. September isn’t just good for the architecture geeks, it’s also good for the general design geeks as well. 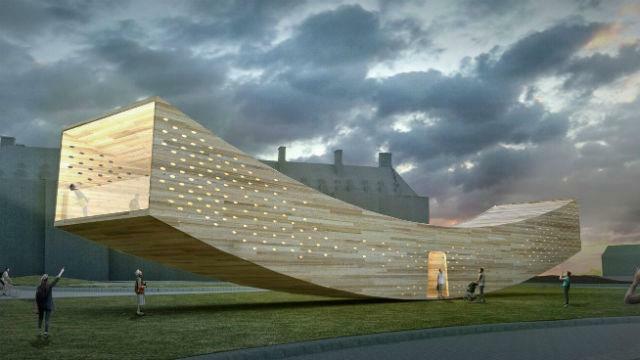 London Design Festival takes over the city for a week with a number of free installations and exhibitions. Check out the Elytra Filament Pavilion in the courtyard at the V&A and Green Room in the circular stairwell on the west side of the museum. Explore what else is going on here. On the 3rd September, teams who have come from far-and-wide (300 of them!) 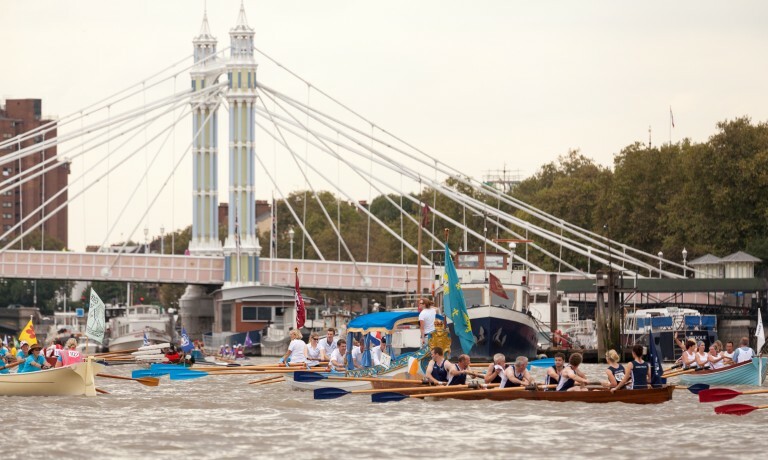 are going to descend down the River Thames for The Great River Race to find the UK Traditional Boat Champions. Park yourself along the river to watch gigs, skiffs, cutters, currachs, Chinese dragon boats and maybe a Viking longship or two. And yes, I’m totally serious. This year’s Peckham & Nunhead Free Film Festival kicks off with Purple Rain at the Montague Arms and continues with a strong lineup over the next two weeks. 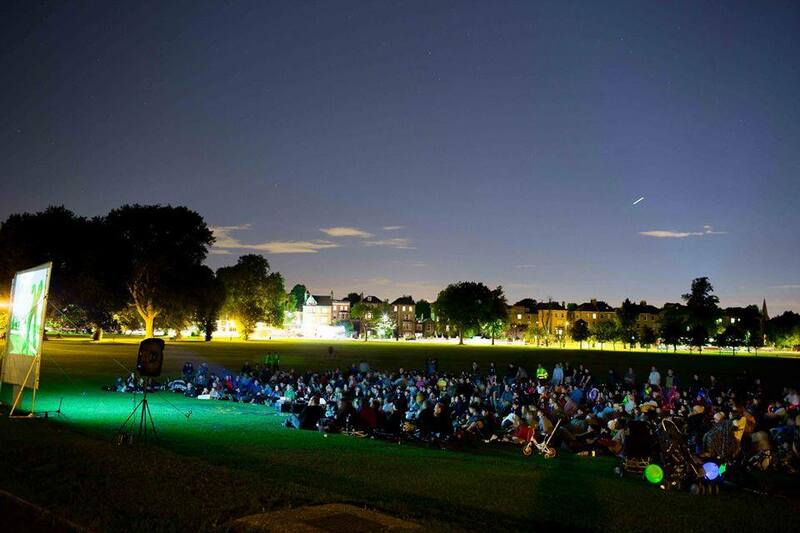 Jumanji makes an appearance as the bike-powered showing on Peckham Rye Common, and you can find Romeo & Juliet, Little Shop of Horrors and The Jungle Book (the Disney original classic, of course) indoors at various locations. If you didn’t get enough of carnival at, well, carnival…then head over to Hackney to do it all over again on the 11th. The Hackney One Carnival will be all feathers and glitter from noon to 6pm with the parade starting at 2. Head to Ridley Road for the sound systems and after-party – and we bet you can find some jerk chicken there, too. The Olympics may be over but London hasn’t forgotten about Brazil. 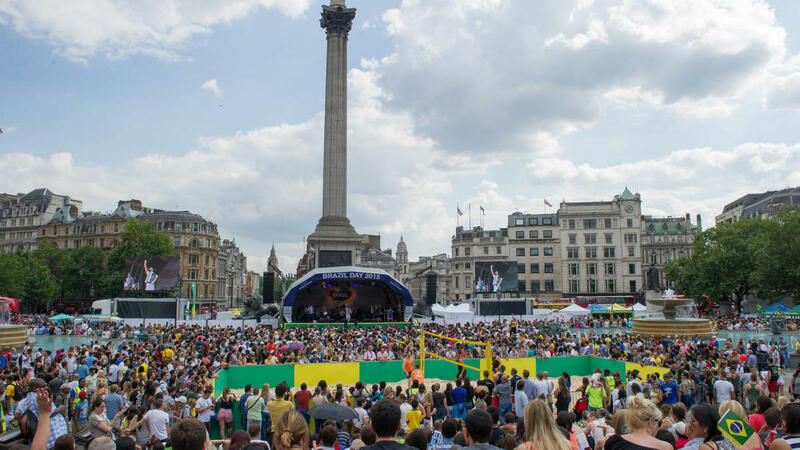 Head down to Trafalgar Square on the 10th for Brazil Day; a free celebration of the Paralympics, Olympics and all things Brazil! 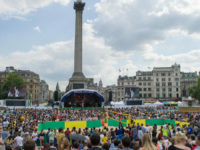 Expect to find samba music, games, street food and general merriment as London celebrates TeamGB and relives the glory on the big screen. Yes, you read that right, it’s the Pearly Kings and Queens Harvest Festival on the 25th September! 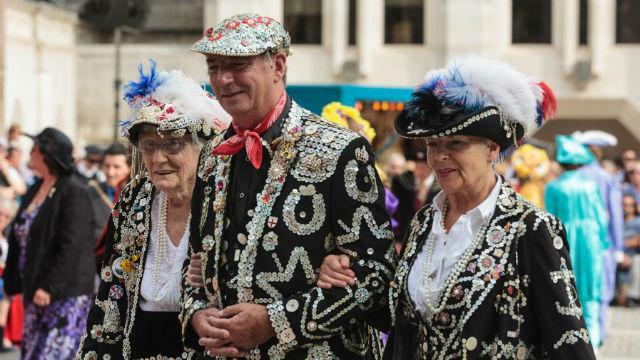 What’s a Pearly King & Queen, you ask? Well, they wear suits and hats covered in sequins and buttons and spend the year fundraising for charity (which is pretty great). Celebrate with them with maypole dancing, Morris dancers and a parade – and don’t forget to bring a donation of non-perishable goods or toiletries to spread the goodwill. 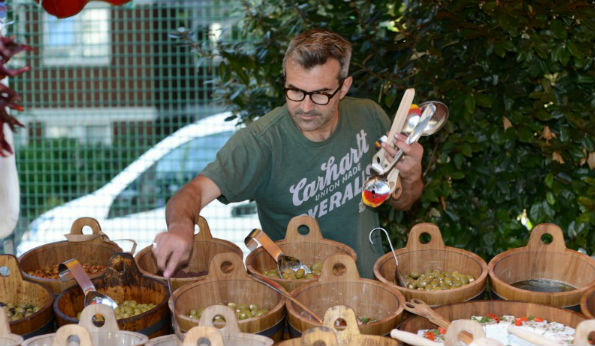 If you love a good food market you’re definitely going to fall head over heels with the new Hampstead Food Market. 45 award-winning farmers will join street food traders and artisan producers weekly on Saturdays, kicking off on the 10th. You won’t find much information on the internet yet about the new kid in town, but we promise it’s happening (they even sent us a press release). Here’s one for the East Londoners – Chatsfest is a one-day festival/celebration of all things Chatsworth Road. The community came together to sponsor and support the event four years ago and it has grown ever since. Have a pint while listening to live music or attend a bicycle workshop – the festival is free for everyone to enjoy (even those Londoners not from the East).